Sikhism teaches us, as all religions do, peace and harmony. 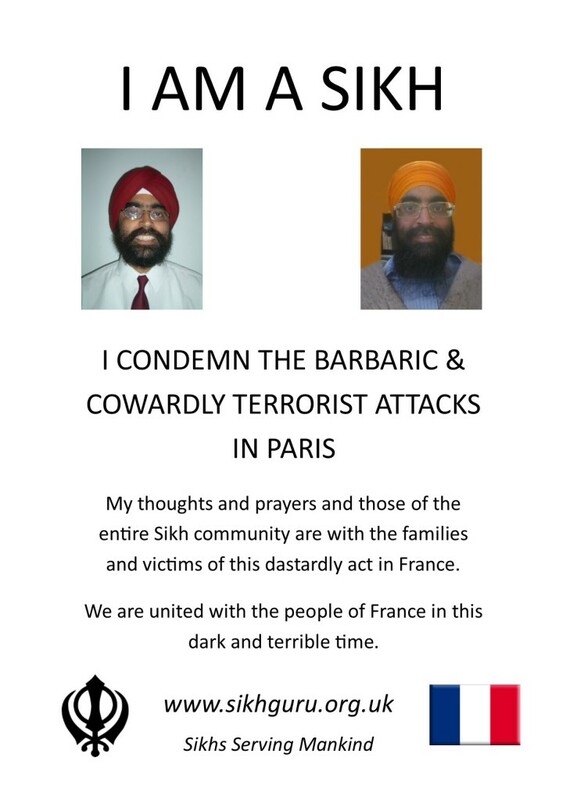 It is important in these dark times that the world community understands what a Sikh stands for and that we are a fun loving, hard working and law abiding community. Our thoughts and prayers are with the victims of France.